What is the “Contract Time” allowed? In order to give each family the best experience, we allow you to have access to the property from 10AM to 10PM to create a non-rushed experience for your day. This includes time for set up and use of the bridal suite to get ready, as well as ceremony and reception, followed by 1 hour of clean-up. What does a wedding resource person mean vs. wedding planner? As a resource person the owners, at The Gardens at Bethlehem Farm, will provide you with information to assist with your planning and contacts requested to assist with finding vendors. We will also be available on the day of your event with any problems with the facilities and maintenance. A wedding planner can contact vendors and rental companies personally, help create a timeline and ensure your timeline is followed during your event to keep things running smoothly. They may also assist with setup/décor/break-down/clean-up. Will I have a Final “Walk Thru” before my event? All cancellations must be in writing. No refunds will be made. Must have wedding insurance on file. What if there is an “act of God” and I have to Reschedule my Event? In the event of inclement weather (i.e., snow or ice), or acts of God, then, at The Garden’s of Bethlehem Farm’s discretion, the event shall be rescheduled by agreement of Renter and The Garden’s at Bethlehem Farms based upon availability. PLEASE obtain wedding insurance for your individual protection and peace of mind. 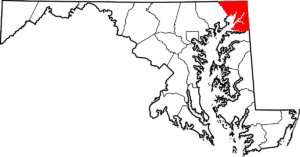 Two options to purchase wedding insurance are through wedsafe.com or farmers insurance in Havre de Grace, MD. Renter and The Gardens at Bethlehem Farms shall execute this contract simultaneously. Both parties must sign for contract to be binding and in effect. May I choose my own Vendors? We can supply a list of our preferred vendors who we believe would provide a great experience for you, but you do have the ability to choose your own vendors. Any caterer that is not from our preferred vendor list MUST provide TGBF with a copy of license and certificate of insurance. Caterers must schedule a walk through with the renter and the facility two to three weeks prior to the contracted event. What do you mean by Conduct at the TGBF? Good order and proper decorum will be maintained by all persons participating. No confetti or rice. Birdseed is fine in grassy areas. Sparklers are fine if we make sure a designated person will gather the metal sticks which are impossible to find in the dark. Bubbles are permitted. Anyone under the influence of alcohol, not acting in a safe manner around the bon fire, or generally disruptive and Combative, will be removed at the discretion of TGBF to ensure the safety of your guests and property. What is the maximum capacity for the barn, tent and farm grounds? Maximum reception set up in top of the barn is 125 with up to 240 using the entire facility. We have room to park 250. Smoking is permitted ONLY in designated areas of the property. Will someone from TGBF be at my event? TGBF staff member will be on premises at all times during an event. What do I do if I rent things that I need to use for my event? All drop offs and pick ups must be arranged through TGBF Manager and agreed upon before the day of the event. All personal rentals or all personal property must be removed by conclusion of event date. TGBF will not be held responsible for any personal items left on premises. Do I have to remove the trash from my event? All trash must be removed from the house and the grounds at the conclusion of the event by renter. Receptacles will be provided for convenience. Do you have catering guidelines? Trucks and vans may park at far end of barn or as decided with TGBF manager. All caterers are encouraged to contact the TGBF before each catered event. The caterer must contact us within 30 days of the event date to review set up planning and procedures. All caterers must provide current proof of license and insurance 30 days prior to event date. We have a parking area in the field. Access to the parking area is at the top of the field before the main entrance to the farm. The day of your event we will place a parking flag out to ensure the entrance to the parking area is visible to guests. Handicapped parking is available upon request. Do I have to provide flowers to decorate the farm the day of my event? Renter is free to decorate with flowers and foliage as it relates to their event. To the extent current TGBF décor or flowers are removed and/or replaced in connection with the event, such plans must be coordinated and approved by the TGBF manager. Upon completion of the event, such flowers may remain or be removed depending on agreement with TGBF manager. In the event they are moved, they must be replaced with flowers comparable to what was in place prior to the event. Am I allowed to use real candles for my ceremony? The use of open flamed, real candles is prohibited in the barn and house. What happens if something is damaged or broken during my ceremony? Renters and caterers are responsible for any violations of these guidelines and any damages sustained by TGBF as a result of such violation to the extent of full restoration. The house, gardens and barn must be left in the same condition it was found prior to the event. To ensure your guest will be comfortable for your event, we suggest giving them as much information as possible as it relates to your specific planned event. For example, if part of your event will take place in the grass areas, we recommend you give the ladies on advice on heel types they may not consider without your input. If temperatures could be uncomfortably warm or chilly to some of your guests, advise them on proper attire or amenities you may be providing for their comfort. Am I allowed to have my pets on the property? 1. There is a designated person responsible for said “renters pet” at all times while on TGBF property. 2. Designated person takes full responsibility for proper care, behavior, interaction with guests and will arrange for pet departure from property at appropriate time as agreed between renter and TGBF manager. 3. Renters must provide a copy from a veterinarian stating the animal is current on all vaccinations and is safe to be around people in unfamiliar situations to the animal. TGBF reserves the right to ask animals to be removed if not calm and compliant.